Regarding Cuba, most people's first reaction is - "Are you allowed to go to Cuba?" The answer is yes! While the Cuban government has no restrictions on Americans visiting, the US Government does have restrictions. I travel to Cuba on what is called a general license. I travel with a letter from Christian Surfers of North America Inc (501c3) stating my dates of travel and that my purpose for going is to participate in a full schedule of religious activity. Thus, I just came back from my second trip to Cuba. 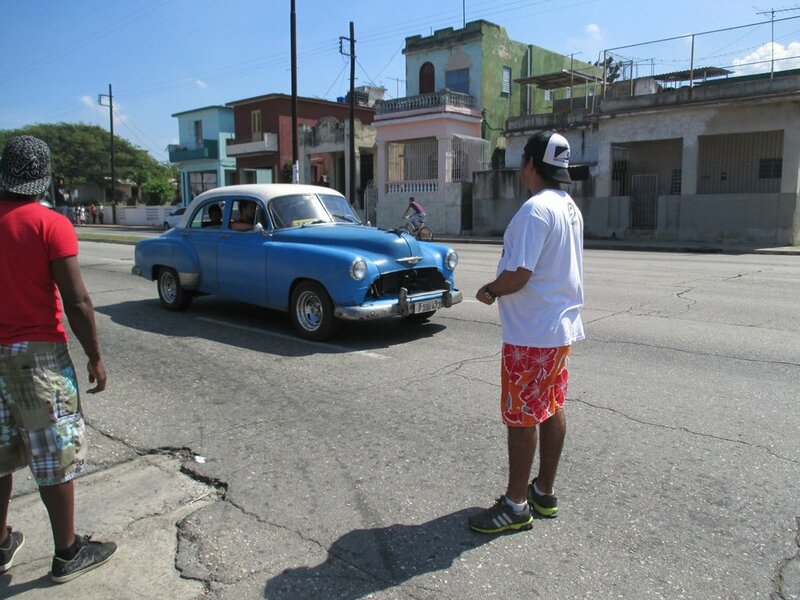 While I was in Cuba I spent all of my time in the capital city of La Havana. I visited mostly with Yohnly, the Director of Christian Surfers Cuba, his pastor, Jose, and a new disciple named Jorge. Jorge is from a community called San Jose which just outside of La Havana and right next to the Ernest Hemingway House. Jorge is a new believer in Jesus Christ and is being mentored by Yohnly and Yohnly's church. He grew up believing in God, but wasn't till recently that he committed his life completely to the Lord. Jorge was raised mostly by his neighbors as he was the only son of a single mother who found herself deep into Witchcraft. On one occasion, he barely escaped his mother as she stabbed him in the stomach attempting to kill him. His mother is currently doing much better and even attends church at times, but still hasn't accepted Christ as Jorge has. At an early age, Jorge found his escape from life in the ocean, surfing. He and his friends would grab anything that would float at first and take to the water. They eventually got boards and it was soon evident that he could forget about his struggles at home by surfing. Jorge and his friends have continued surfing and there is a large community of surfers there now. His desire is to mentor and show God's love to the other surfers dealing with all the struggles he grew up with. He hopes to raise up a group of surfers in his community that love Jesus and love each other. Jorge is part of a leadership team of a Christian Surfers chapter 15 minutes from his home. He continues being mentored by Yohnly and participating in his local church. Please be in prayer for Yohnly, Jorge, and the rest of the team in Cuba as they continue sharing the unfailing love of Jesus Christ to the Cuban Surf Community. Thanks and God bless.